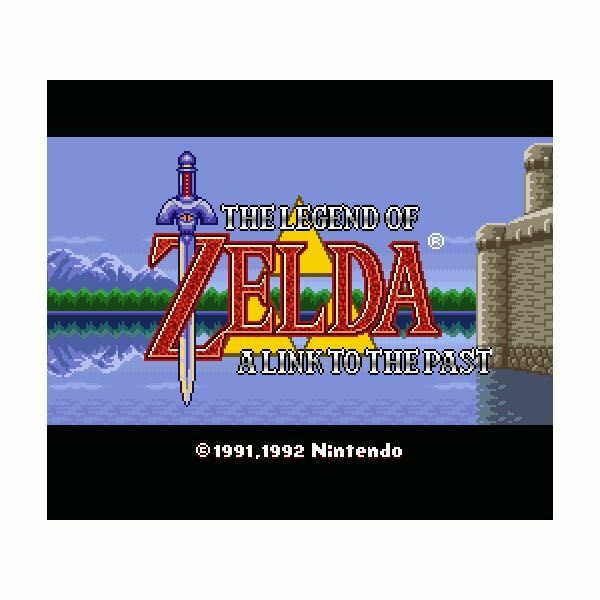 The Legend of Zelda: A Link to the Past was released for the SNES in 1992 in the US. While it isn’t the first game in the Zelda series, it is the game that all Zelda games copy to an extent. While it is almost 20 years old, it is still a great game and stands its own next to Ocarina of Time and Twilight Princess. Our hero (the perplexingly pink haired Link) wakes to the sound of a girl’s voice pleading him for help. The princess Zelda has been kidnapped and the kingdom of Hyrule has been taken over by an evil wizard. Link must set out on a journey to save Hyrule by freeing the seven maidens from the crystals they are trapped in, but only after he’s gotten the master sword and traveled to the Dark World. This is what all action RPG’s should be. The story is there, and while it isn’t overwhelming, it is important. It weaves the game together perfectly, even if it isn’ t the best plot ever. The Legend of Zelda: A Link to the Past plays more like the original The Legend of Zelda. 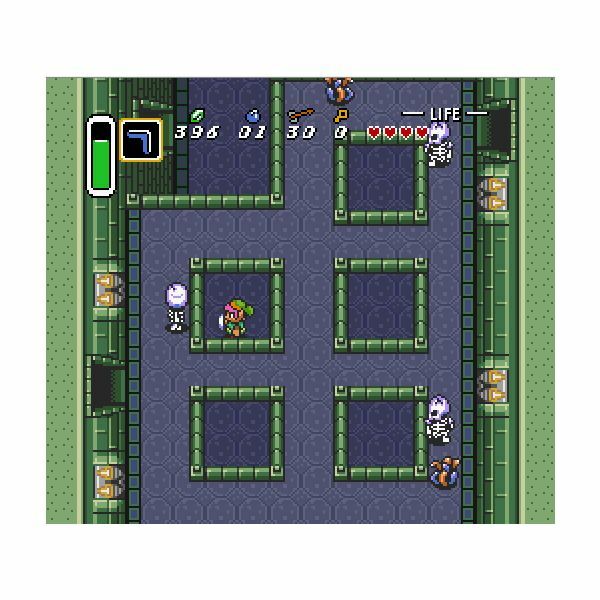 You control Link from a top down perspective like most SNES era RPGs, none of that side scrolling Link’s Adventure stuff. You traverse dungeons, collect items for your arsenal and defeat bosses in your quest to save Hyrule from certain evil. After each dungeon, the item you receive will help you in opening up new areas of Hyrule that were previously shut off. 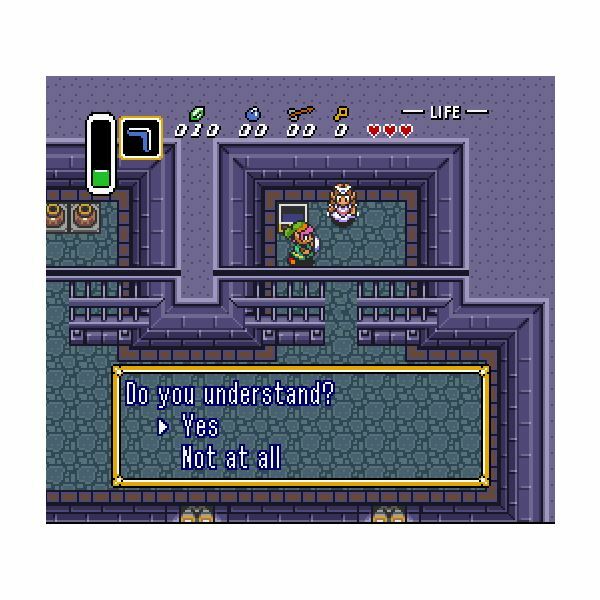 The Legend of Zelda: A Link to the Past had the largest item menu for any Zelda game up until that point, and many of them have become Zelda staples, like the hookshot (now the clawshot) and the ocarina. Along his quest Link will get more hearts (and heart pieces) in order to enhance his longevity since he does not level up. Like Link’s Adventure, there is a magic meter that goes down with use and must be refilled. 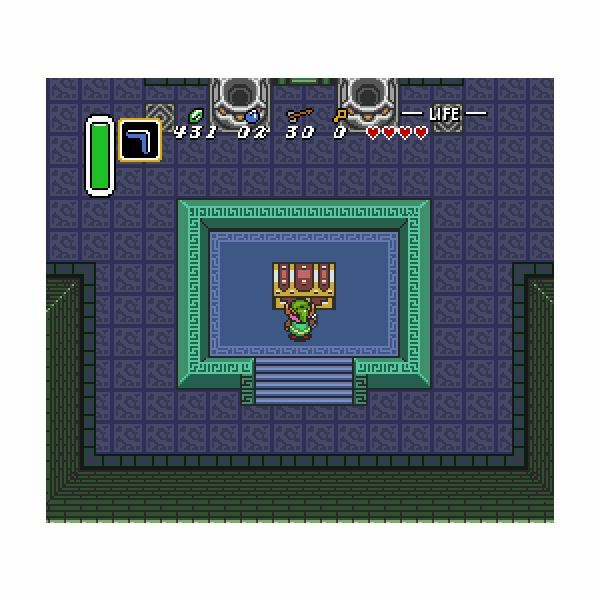 This is also the first Zelda game to introduce the idea of the Master Sword (and the way the game shifts after you obtain it). 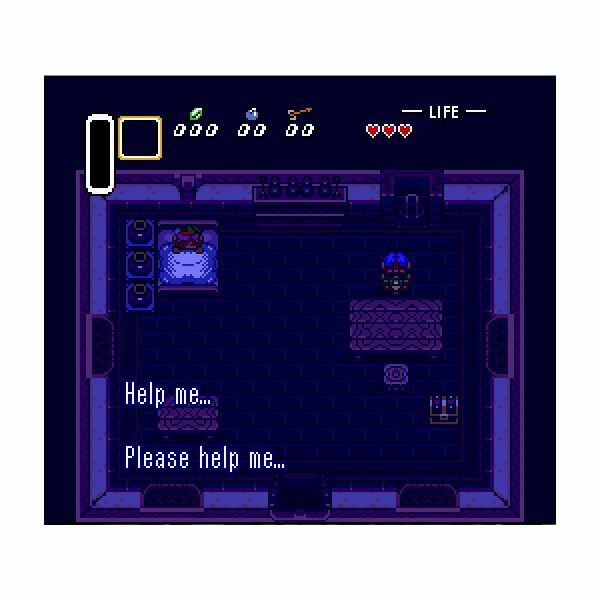 In The Legend of Zelda: A Link to the Past when you get the Master Sword, Link is transported to the Dark World (a distorted version of the Light World he normally lives in) and must continue his quest from there. He also has a magic mirror that allows him to travel from one world to the other. In The Legend of Zelda: A Link to the Past Link can actually swing his sword from side to side and do a spin attack, also Zelda norms now. Wow, The Legend of Zelda: A Link to the Past looks great. After all these years the power of the SNES still impresses me. Link is cute and colorful. All of Hyrule is beautifully animated and full of life. The rain storm at the beginning is breathtaking alone. Then there is the Dark World, which is contrasted perfectly by its light twin. The Dark World is grim and depressing while the Light World is lovely. Only Tales of Phantasia has better SNES graphics. Sound wise, Zelda games always shine. But The Legend of Zelda: A Link to the Past shines brighter than most. Sure the Hyrule Overture (you know it!) was in The Legend of Zelda, but the version you are familiar with is probably from The Legend of Zelda: A Link to the Past. The music is sweeping and grand and perfectly suits this game. Even the sound effects are well done. The running of feet and the sound the sword makes as you swing it are all prefect as well. Um, yes. Yes a million times. 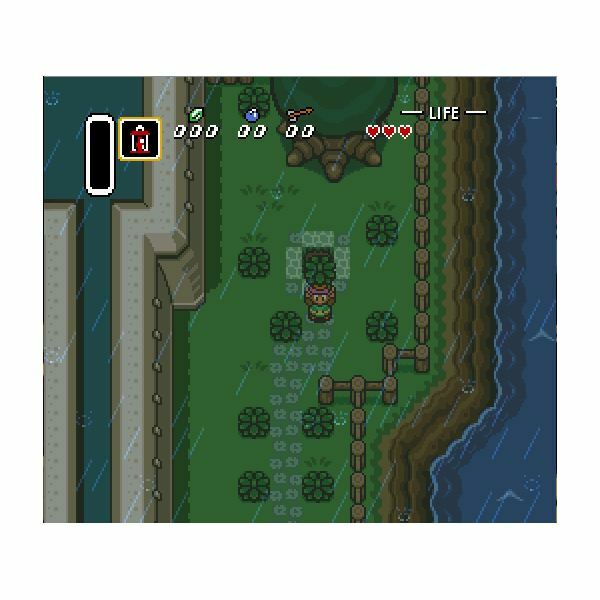 When I was a kid I spent hours playing The Legend of Zelda: A Link to the Past. I stayed up late just trying to beat one more boss and rescue one more girl and the game has lost none of its magic. The dungeons are full of puzzles (some more challenging than others) and great boss fights that make you use your head as well as your button mashing skills. Plus, the VC version emulates the original SNES game with the original Ice dungeon, in all its difficult glory. What more fun do you want than that? The Legend of Zelda: A Link to the Past is the Zelda game all other Zelda games strive to be. While some have surpassed it, this is still where the quintesencial Zelda plot began. If you haven’t played this game, you’ve missed out on a gem. Download it for your Wii right now. It’s only 800 Wii points, so what are you waiting for?